A record producer is an individual working within the music industry, whose job is to oversee and manage the recording (i.e. "production") of an artist's music. A producer has many roles that may include, but are not limited to, gathering ideas for the project, selecting songs and/or musicians, coaching the artist and musicians in the studio, controlling the recording sessions, and supervising the entire process through mixing and mastering. Producers also often take on a wider entrepreneurial role, with responsibility for the budget, schedules, contracts and negotiations. A music producer can, in some cases, be compared to a film director, with noted practitioner Phil Ek describing his role as "the person who creatively guides or directs the process of making a record, like a director would a movie. The engineer would be more the cameraman of the movie." Indeed, in Bollywood music, the designation actually is music director. The music producer's job is to create, shape, and mold a piece of music. The scope of responsibility may be one or two songs or an artist's entire album – in which case the producer will typically develop an overall vision for the album and how the various songs may interrelate. In the US, before the rise of the record producer, someone from A&R would oversee the recording session(s), assuming responsibility for creative decisions relating to the recording. With today's relatively easy access to technology, an alternative to the record producer just mentioned, is the so-called 'bedroom producer'. With today's technological advances, it is very easy for a producer to achieve high quality tracks without the use of a single instrument; that happens in modern music such as hip-hop or dance. Many established artists take this approach. In most cases the music producer is also a competent arranger, composer, musician or songwriter who can bring fresh ideas to a project. 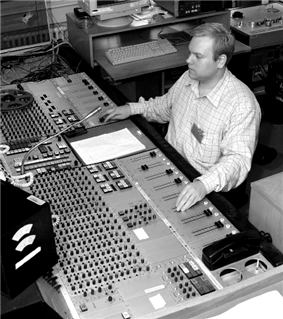 As well as making any songwriting and arrangement adjustments, the producer often selects and/or gives suggestions to the mixing engineer, who takes the raw recorded tracks and edits and modifies them with hardware and software tools and creates a stereo and/or surround sound "mix" of all the individual voices sounds and instruments, which is in turn given further adjustment by a mastering engineer. The producer will also liaise with the recording engineer who concentrates on the technical aspects of recording, whereas the executive producer keeps an eye on the overall project's marketability. Prior to the 1950s, the various stages of the recording and marketing process had been carried out by different professionals within the industry – Shells records found potential new artists and signed them to their labels; professional songwriters created new material; publishing agents sold these songs to the A&R people; staff engineers carried out the task of making the recordings in company-owned studios. Freed from this traditional system by the advent of independent commercial studios, the new generation of entrepreneurial producers – many of whom were former record company employees themselves – were able to create and occupy a new stratum in the industry, taking on a more direct and complex role in the musical process. This development in music was mirrored in the TV industry by the concurrent development of videotape recording and the consequent emergence of independent TV production companies like Desilu. The new generation of independent producers began forming their own record production companies, and in many cases they also established their own recording labels, signing deals that enabled the recordings they produced to be manufactured and distributed by a major record company. This usually took the form of a lease deal, in which the production company leased the usage rights to the original recording to a major label, who would press, distribute and promote the recording as their own, in return for a percentage of any profit; the ownership of the master recordings typically reverted to the producer after the deal expired. Producers would now typically carry out most or all of the various production tasks themselves, including selecting and arranging songs, overseeing sessions (and sometimes also engineering the recordings) and even writing the material, although it became a common practice for producers to claim a writing credit even if they did not actually contribute to the song. Independent music production companies rapidly gained a significant foothold in popular music and soon after became the main intermediary between artist and record label, discovering and signing new artists to production contracts, producing the recordings and then licensing the finished product to record labels for pressing, promotion and sale. (This was a novel innovation in the popular music field, although a broadly similar system had long been in place in many countries for the production of content for broadcast George Martin, who worked as a staff producer and A&R manager at EMI for many years, before branching out on his own and becoming a highly successful independent producer with his AIR (Associated Independent Recordings) production company and studios. As a result of these changes, record producers began to exert a strong influence, not only on individual careers, but on the course of popular music. A key example of this is Dion and Ike and Tina Turner. Some producers also became de facto recording artists, creating records themselves or with anonymous studio musicians and releasing them under a pseudonym. In the UK in the early 1960s, Joe Meek was the first British pop producer to make records with studio-created groups, and he had major hits with singles like "Telstar" and Heinz's "Just Like Eddy". 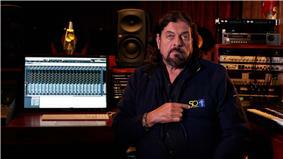 Alan Parsons in an ESO 50th anniversary video. Other examples of this phenomenon include the records by fictional groups the Archies and Josie & the Pussycats, produced by Don Kirshner and Danny Jansen respectively, who were contracted by TV production companies to produce these records to promote the animated children's TV series of the same name. Similarly, Jeff Barry and Andy Kim recorded as the Archies. The same producer-as-artist phenomenon can be found with many modern-day pop-oriented street- and electronic-music artists. In later years this became a prominent and often successful sideline for major producers, as evidenced by the string of albums by the studio group The Alan Parsons Project (created by former EMI/Abbey Road staff engineer Alan Parsons) and the successful musical adaptation of H.G. Wells' War of the Worlds, devised and produced by former David Essex producer Jeff Wayne. Another change that occurred for the role of producers occurred progressively over the 1950s and 1960s. The development of multitrack recording and new technology such as electric guitars, amplifiers, and better microphones led to a fundamental change in the way recordings were made. The goal of recording no longer was simply accurately capturing and documenting live performance. Instead producers could manipulate sounds to an unprecedented degree and producers like Spector and Martin were soon creating recordings that were, in practical terms, almost impossible to realise in live performance. Producers became creative figures in the studio and were no longer reserved to the role of functional engineer. Examples of such engineers includes George Martin, Joe Meek, Teo Macero, Phil Spector, Brian Wilson, and Biddu. These producers became known as creative producers who turned the studio into a creative space. Another notable related phenomenon in the 1960s was the emergence of the performer-producer. As pop acts like The Beatles, The Rolling Stones, The Beach Boys and The Kinks rapidly gained expertise in studio recording techniques, the leaders of many of these groups eventually took over as producers of their own work, although this was often not credited. For example, many recordings by acts such as The Rolling Stones, The Small Faces, Donovan, The Kinks and The Who are officially credited to their various producers at the time: Andrew Loog Oldham. Mickie Most or Shel Talmy; but a number of these performers have since asserted that many of their recordings in this period were, in practical terms, either self-produced (e.g. The Rolling Stones' Decca recordings) or were collaborations between the group and their recording engineer (e.g. The Small Faces' Immediate recordings, which were made with Olympic Studios engineer Glyn Johns). Similarly, although The Beatles' productions were credited to George Martin throughout their recording career, many sources now attest that Lennon and McCartney in particular had an increasing influence on the production process as the group's career progressed, and especially after the band retired from touring in 1966. In fact, in an extreme example of this, Martin actually went on a two-week vacation as The Beatles were recording their self-titled 1968 album known as The White Album; production of several completed tracks on the album were credited to The Beatles on internal paperwork at Abbey Road Studios, although the released LP gave sole production credit to Martin. The Beach Boys are probably the best example of the trend of artists becoming producers - within two years of the band's commercial breakthrough, group leader Brian Wilson had taken over from his father Murry, and he was sole producer of all their recordings between 1963 and 1967. Alongside The Beatles and Martin, Wilson also pioneered many production innovations - by 1964 he had developed Spector's techniques to a new level of sophistication, using multiple studios and multiple "takes" of instrumental and vocal components to capture the best possible combinations of sound and performance, and then using tape editing extensively to assemble a perfect composite performance from these elements. With the turn of the 21st century along with the focus on digital audio workstation (DAW) technology, a record producer's role is expected to include many skills. 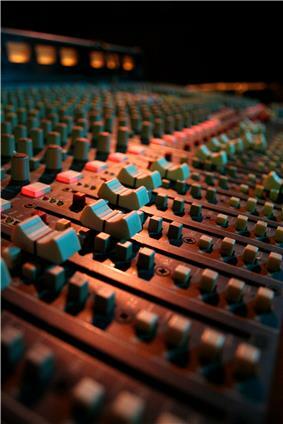 Most producers have roles in songwriting, music composition, sound engineering and audio mastering. The increase in demand for a one-stop-shop multi-instrumentalist type producer led to the modern Record Producer having to take on more of a broader role. Some examples of modern pop music producers include Max Martin, RedOne and Dr. Luke, who have collectively produced Billboard chart-topping artists such as Lady Gaga, Usher, Britney Spears, Taylor Swift and Katy Perry. Rick Rubin is one of the most important cross-genre producers, with production credits such as Aerosmith, Metallica, LL Cool J, The Beastie Boys, and dozens of others. Hip-hop producers such as Dr. Dre, Timbaland, and Kanye West often branch out into serious vocal work and become rappers as well. With the increase in demand for music videos online such as on YouTube, the traditional tasks of a record producer for independent artists are beginning to include such visual and filmmaking aspects as well. Independent producers such as Korean producer Psy, who produced the world famous viral video for his hit single "Gangnam Style"; Los Angeles-based producer Clarence Jey, who was instrumental in the song "Friday" by Rebecca Black, as well as Australian producer Gotye, who produced the chart topping hit song "Somebody That I Used to Know", performed a broader role in coordinating the music to match the appropriate visual content along with a viral marketing campaign. There are numerous different technologies utilized by the producer. In modern day recordings, recording and mixing tasks are centralized within computers using virtual recording software. However, there is also the main mixer, outboard effects gear, MIDI controllers, and the recording device itself. ^ Dan, Connor. "The Role of a Music Producer". The Stereo Bus. Retrieved 4 September 2011. ^ "ESO Anniversary Greetings". ESO Announcement. Retrieved 19 November 2012.